We received the Zooper Waltz Smart for review. All opinions are my own. 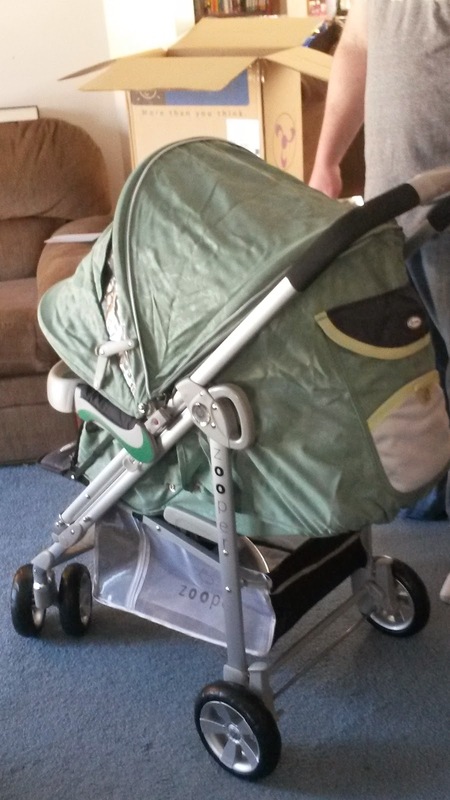 Zooper has a line of strollers that go from economical and simple, to luxurious. Whatever your need, Zooper has a stroller for you. We received the Waltz Smart stroller for review. 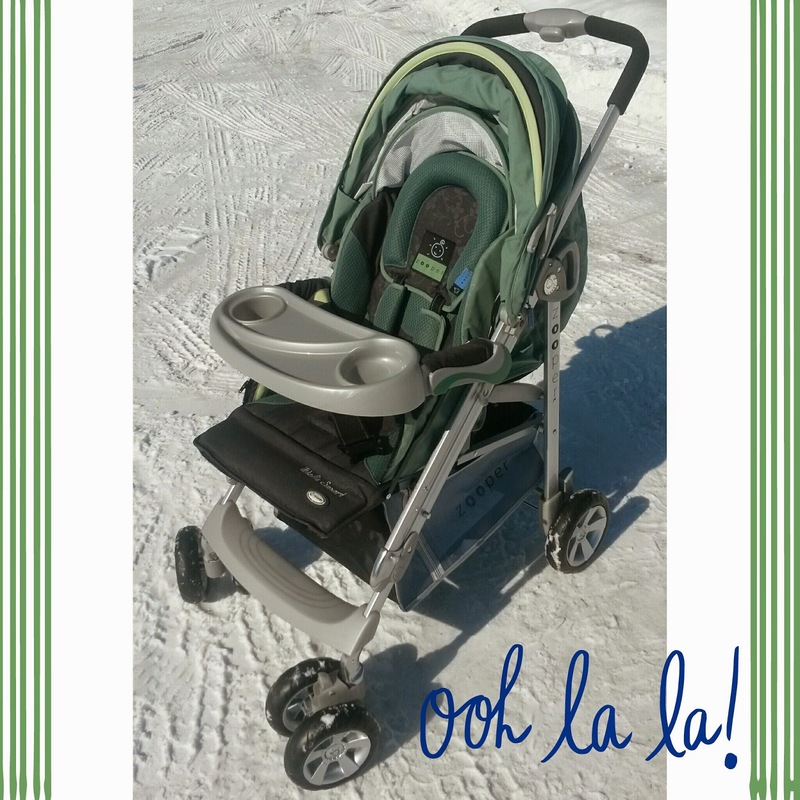 There are some great color choices for the stroller... but with my love of green, I knew there was only tealberry for me! We finally were able to get a picture of the Waltz Smart in the sun! It's pretty dreary here in Michigan... and SO gold. We've been having -25°F days! This would have been a great time to have a Zooper accessory... the foot muff- but alas, they're sold out! Brr. So... no little one in the photos or video because it was just too cold. You can see in the photo above that the Zooper Waltz Smart has a triangle frame. Zooper chose this design for the frame because it is strong and reliable. My favorite feature, hands down, is the canopy. 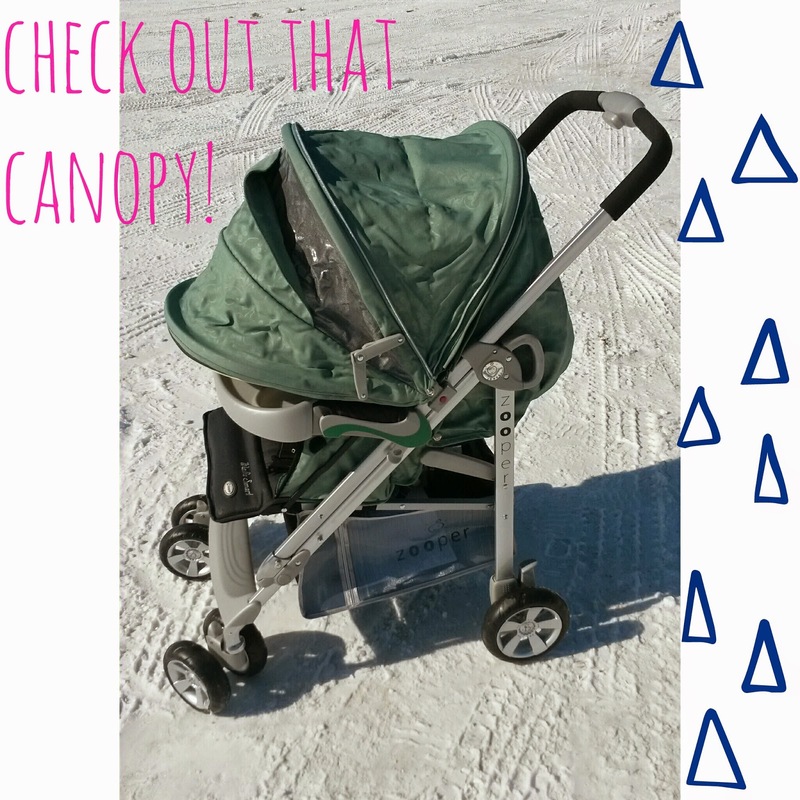 Not only can you extend it fully while the child is upright, you can also unzip part of the canopy to allow the canopy to unfold completely while the child is fully reclined. It's AMAZING. 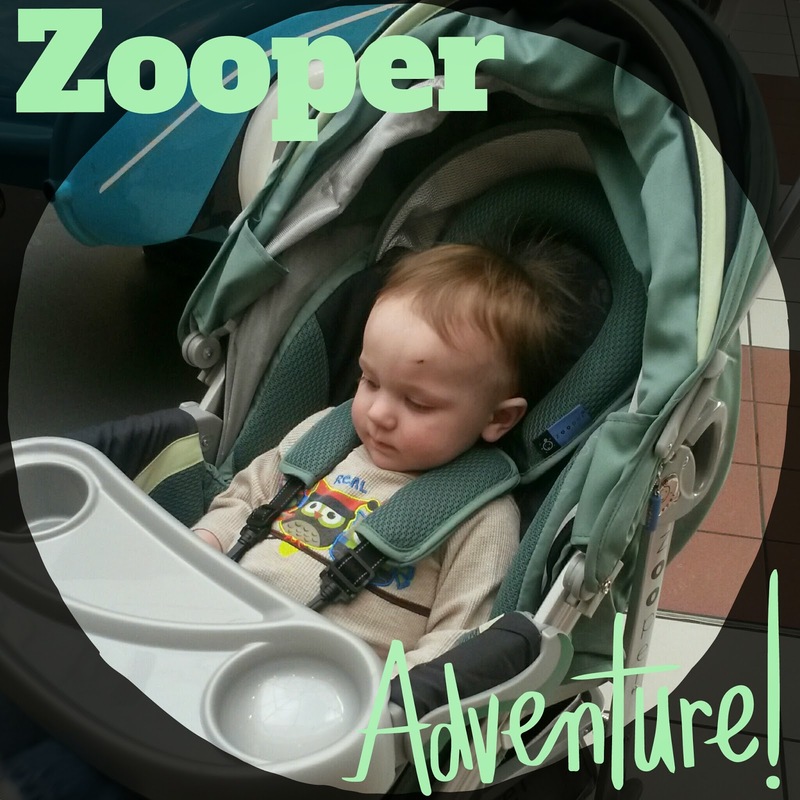 Here's a photo our little guy, enjoying the ride during our little adventure to the mall. He seemed to like the ride! The Zooper Waltz Smart has a removable snack tray (which we chose to use here), and a nice padded headrest. The huge pocket on the back of the canopy is also amazing. 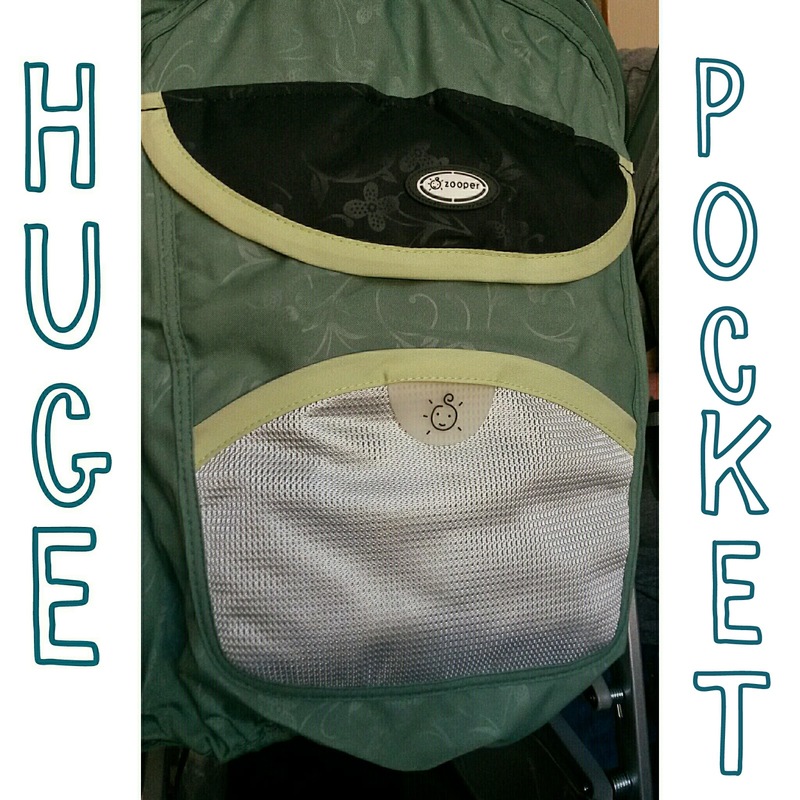 It has a magnetic closure, and is super convenient! While we were at the mall I placed my wallet, receipts, and my phone in it. It's probably my second favorite feature of the Waltz Smart! Here is a quick video I did giving an overview of the Zooper Waltz Smart. It FINALLY was sunny out today... but it is still freeezing! Here's a little quick review. Takes two hands to fold up. Handle is a little too low for me as I am taller. Overall, the pros far outweigh the cons (I really had to think to get some cons on the list... they really were minor), and we have really enjoyed using the Waltz Smart. I can't wait to try it out on the walking trails this Spring and Summer!